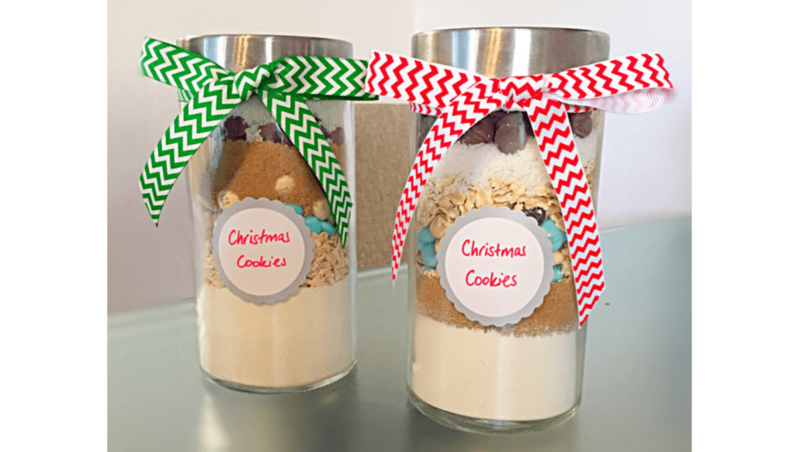 These super cute Christmas cookie jars make a gorgeous gift and are actually really quick and easy to make. 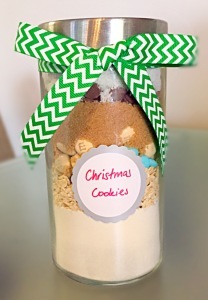 I made these ones as gifts for my son’s preschool teachers but they are perfect for neighbours or other people where you’d like to give a little Christmas gift but don’t have a lot of money to spend. The key is to layer carefully, I experimented with different ingredients going in first. Remember that whatever you put on top of the m&m’s or choice drops will sink through somewhat so the oats worked quite well here. You can use a funnel or a piece of paper shaped into a funnel to help layer it evenly. 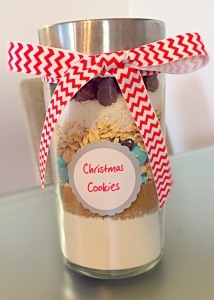 I used jars from the local discount store that cost $3 each but left over coffee jars would work just as well. Mine are around 700ml each. The little labels are just from Big W and were about $2 for a pack of 20. The ribbon is from the discount store and was $2 for a 2.5m roll. 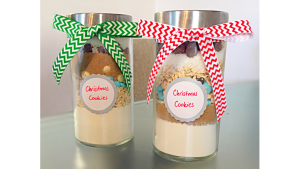 Each Christmas cookie jar costs around $4 to make so a pretty affordable gift that looks really sweet.